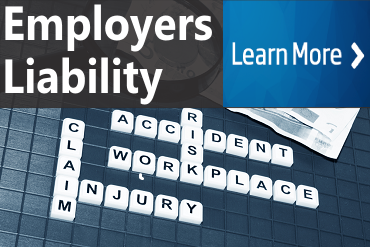 Employers liability coverage is included with a workers' comp policy. Find detailed policy information regarding each part or section of a standard workers compensation policy and the policy form definitions. Information Page, Form WC 00 00 01 B. This is the equivalent of the declarations page in other lines of insurance. It contains the name of the insurance company providing the coverage as well as the named insured, its mailing address, other workplaces and the form of business. It includes the policy period and the Employers Liability Insurance limits. Any other states to be covered and the endorsements, forms and schedules that apply at policy inception are listed in the spaces provided. The rating classifications that apply, the corresponding class codes, estimated payrolls, rates and estimated premiums complete the information included on this form. 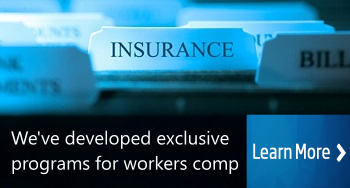 Workers Compensation and Employers Liability Insurance Policy, Form WC 00 00 00 A. A brief summary of the content of this policy is presented below. Please refer to PF&M Section 280.4-2, Workers Compensation and Employers Liability Insurance Policy Coverage Analysis, for a thorough and detailed analysis of the policy. GENERAL SECTION . This section indicates that the insurance policy, the Information Page and all endorsements and schedules in effect on the inception date represent the contract of insurance between the insured employer and the insurance company. It defines who the insured is and explains how the workers compensation and employers liability laws of the state apply. It also explains the meaning of workplace locations and defines "State" to mean states of the United States and the District of Columbia. 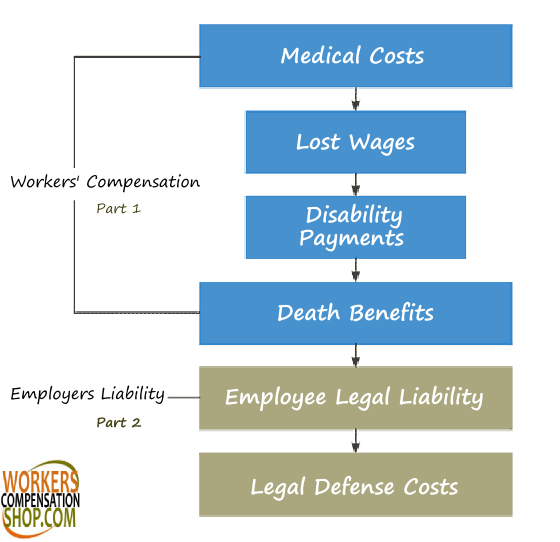 PART ONE–WORKERS COMPENSATION INSURANCE. This part explains how the insurance provided applies and outlines the payments the insurance company is obligated to make. These include benefits required by law, costs of defense of suits brought against the insured for benefits paid by the insurance and additional costs incurred as a result of a claim or legal action. It explains what happens if other insurance covers the same claim and outlines the payments the insured must make. It also outlines the procedures in the event of any recoveries from others and summarizes the statutory provisions that apply in the event of loss. PART TWO–EMPLOYERS LIABILITY INSURANCE. This part explains what employers liability insurance is, how it applies, and outlines the payments for which the insurance company is responsible. It provides a detailed list of exclusions and circumstances where coverage does not apply. It outlines the circumstances under which the insurance company will defend the insured for suits brought due to damages paid by the insurance and details the additional costs the insurer pays as part of any legal action it defends. It explains what happens if other insurance covers the same claim and defines the meaning of the terms and limits that apply to this coverage. It also outlines the obligations of the insured in the event of recoveries from others responsible for a covered loss and summarizes the requirements of each party before an action can be brought against the insurance company. PART THREE–OTHER STATES INSURANCE. This part explains how this coverage applies when one or more states are listed in the space provided for this coverage on the Information Page. 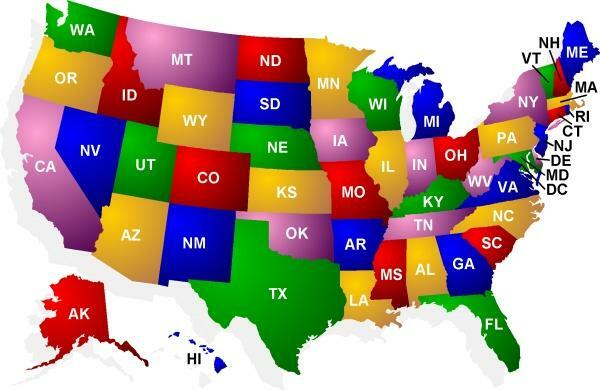 Coverage applies to any state listed on the Information Page but does not apply to any other state unless the insured reports the start of any work in that state within 30 days of it beginning. The insured is required to immediately inform the insurance company of the commencement of operations in any state listed in this section on the Information Page. PART FOUR–YOUR DUTIES IF INJURY OCCURS. This part outlines the duties and responsibilities of the insured with respect to both the injured employee and the insurance company if an injury occurs that may be covered by the insurance policy. PART FIVE–PREMIUM. This part explains the insurance company's use of its manuals, rules, rates, rating plans and classifications to determine the premium charged. It explains the method used to determine the classifications that apply and outlines how remuneration is used as the basis for premium development in most cases. It requires the insured to pay premiums when due and provides details on how the final premium is determined. It provides details of the records the insured must maintain and the manner in which premium audit uses those records to determine the final premium owed. PART SIX–CONDITIONS. This part outlines the right of the insurance company to inspect workplaces at any time and clarifies that those inspections are not an obligation and do not serve as safety inspections. It explains that the insured cannot transfer any of its rights or duties without the written consent of the insurance company. It provides details on how the policy may be cancelled by either party, as well as how long-term policies are handled. It also requires the first named insured on the Information Page to act on behalf of all insureds with respect to all policy transactions. 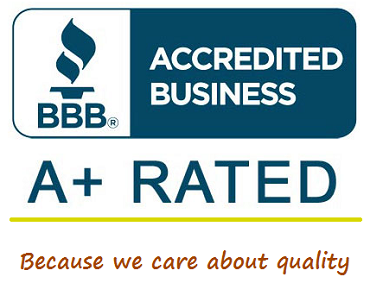 General Endorsements have general and broad application and usually apply in most states. They address common issues affecting workers compensation coverage regardless of the state involved. General State Endorsements are generally the same subject matter as general endorsements but are amended to reflect the particular issues that apply in a given state because of differences in the workers compensation laws and statutes of the individual states. Subject Matter Endorsements address themselves to specific broad general subject areas. Examples are Federal Coverages and Exclusions, Maritime Coverages and Exclusions, Premium Endorsements and Retrospective Premium Endorsements. Subject Matter State Endorsements are generally the same as subject matter endorsements but are amended to reflect the particular issues that apply in a given state because of differences in the workers compensation laws and statutes of the individual states. Employers who operate in a monopolistic state can seek employers liability coverage as an endorsement on the general liability policy. This coverage is commonly known as Stop Gap Coverage. * Employers Liability coverage not included in all monopolistic states. * All NCCI and other states' coverage includes Employers Liability Insurance. Most states have minimum requirements regarding the limits of employers liability coverage on a workers comp policy. 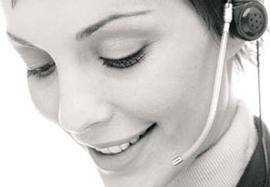 Often times, carriers and agents will quote coverage with these minimum limits only. Employers can request increased limits for Employers Liability coverage for a nominal charge. We help business owners find less expensive workers compensation and employers liability coverage by shopping carriers for the very best deal for your classification codes. 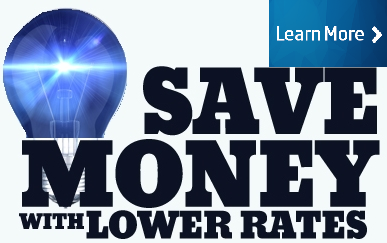 Contact a Specialist today for a free quote or price comparison..